Have You Ever Considered Using a Credit Union for Your Banking Needs? 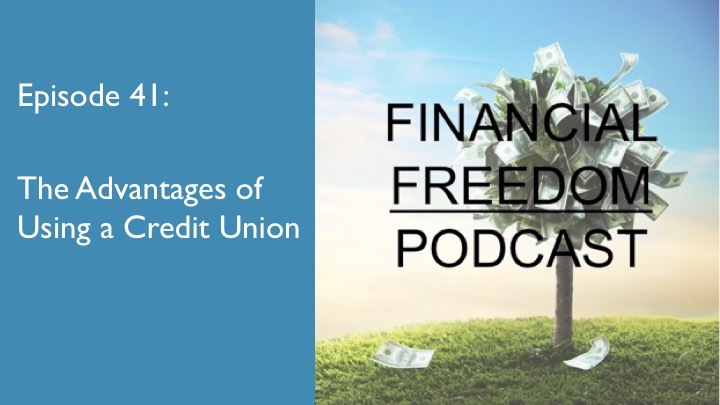 Find Out Whether a Credit Union is Right for You in This Episode! Achieving and maintaining financial freedom involves making the right decisions about your finances. It’s about choosing the right mortgage with the lowest interest rate, deciding with each purchase whether you want or need that item or service, and picking the right insurance company and policy options and coverage. One important decision is where to do your everyday banking. Where do you keep your money? What institution has the best services, lowest fees, convenient branches, and the like. But it is also important to decide whether to go with a traditional bank or a credit union. So in this episode of the podcast I talk about the advantages and disadvantages of a credit union, and who should bank with one.